You ARE an Artist Magnet - You ARE an ARTiST! Let everyone know that You ARE an Artist! 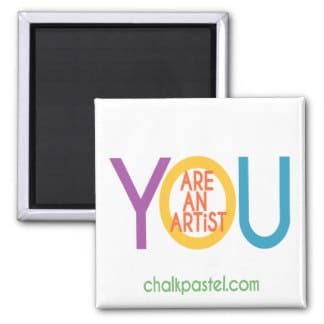 We’ve teamed up with Zazzle to offer the exclusive You ARE an Artist magnet. It’s perfect for hanging your latest painting on the family fridge! Our magnet is perfect for hanging your artist’s latest painting on the family fridge!